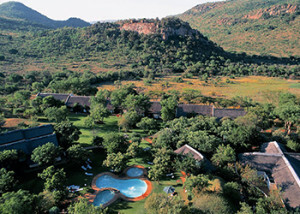 Tented Adventures Pilanesberg offers an authentic tented safari experience, located within Manyane Resort, in the world-renowned Pilanesberg National Park. 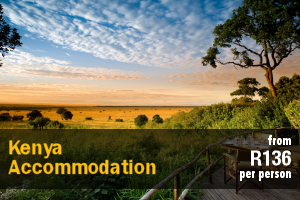 The area is home to Africa’s Big 5 and malaria free. 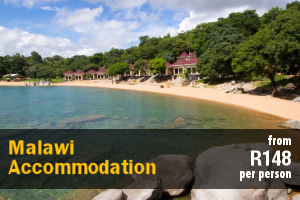 It is the perfect getaway for couples and individuals seeking adventure. 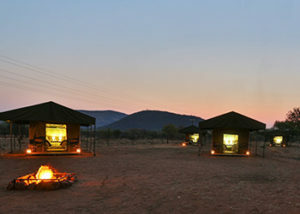 Accommodation comprises 8 safari tents, each suited for 2 people sharing. 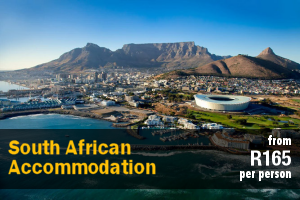 All tariffs include a full English and continental breakfast and dinner braai buffet. 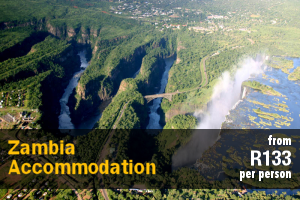 The comfortably appointed safari tents offer all the glamping luxuries including electricity, electric blankets, a small deck, high ceilings, bedside lamps, high-quality beds, bedding and a fan for hot summer nights. All safari tents are serviced daily and all beds have 2 pillows. Establishment facilities include communal bathrooms, a swimming pool, bar, restaurant, curios shop, game viewing and game drives. 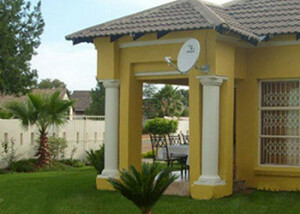 The camp is also close to the Sun City Resort and local attractions. 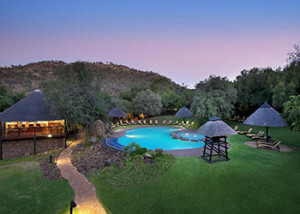 The Pilanesberg Private Lodge is a private retreat nestled at the foot of the Pilanesberg mountains, uniquely positioned in a part of the Pilanesberg National Park wilderness area that has previously not been accessible to any visitors. 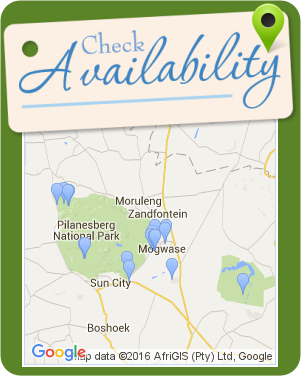 The lodge is approximately 40 km from Sun City, 190 km from Pretoria and 203 km from Johannesburg. 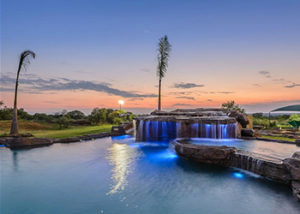 The lodge has been designed to incorporate views to ensure that even when guests are not on a game drive, they stand the chance to spot the animals from the lodge. 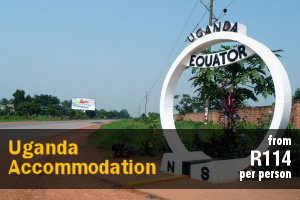 Accommodation is offered in 5 chalets connected via paved pathways and bridges to the communal area. 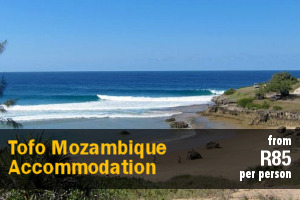 Each chalet is equipped with an extra length king-size bed with white linen, an en-suite bathroom, a rock bath, double rock basins, an indoor and outdoor shower, air-conditioning, a ceiling fan, a bar fridge, a hairdryer, a kettle, and a mini safe. Each chalet has a private patio. 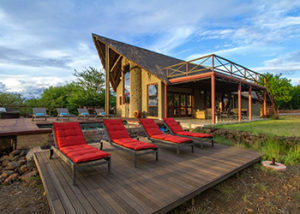 The communal area comprises a lounge, a dining room, a library, a TV lounge, a bar, a kitchen, a pool deck, a covered patio, a boma, a viewing deck, and a fireplace. 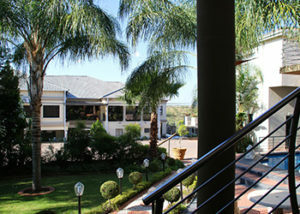 The communal area has air-conditioning and ceiling fans, ideal for those hot summer days. 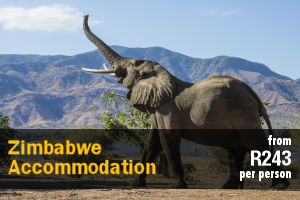 Elephant, black and white rhino, lion, leopard, buffalo, eland, and the endangered African wild dog as well as cheeath have been spotted from the lodge. 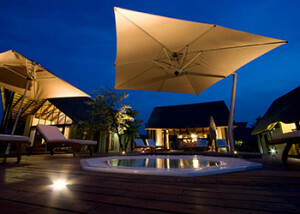 During the evenings guests can enjoy stargazing from the boma. 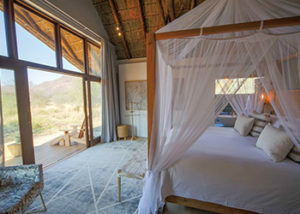 The Lush Private Lodge is set on the Black Rhino Game Reserve, a private concession within the malaria-free Pilanesberg National Park. 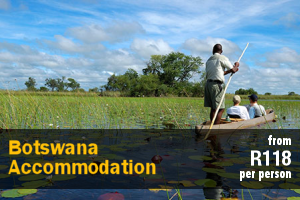 Exclusive traversing rights to 25,000-hectares, as well as access to the park’s public section, assure guests an intimate and unique safari experience, with the chance to see all of the Big 5 and the endangered African wild dog. Tucked into a wooded hillside you’ll find 5 individual, luxury suites which affords the privacy of home, while the main lodge, run on Italian hospitality, ensures you are very well taken care of. 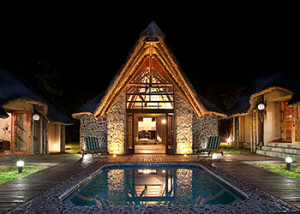 Lush is a contemporary lodge, shaped around the environment. Minimalistic décor and natural finishes put the focus on the view, at once drawing guests to outdoor living spaces. 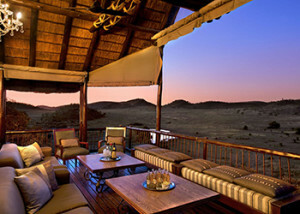 Choose from 3 Bush-facing or 2 Mountain-facing Suites, distinguished only by their views, interspersed between the trees. Each is not simply a base from which to explore your surrounds, but a living space designed with every comfort in mind. Your emperor bed, topped by a down duvet and pillows, is a roll away from a pause area, with a well stocked Smeg mini-bar and range of Nespresso coffees. A few steps to the other side is a free-standing bath with a view; lie back and soak up the scenery. Around the corner, a walk-in rain shower opens out to an open air shower. Body products, with botanical extracts, heighten the sensory experience. Innovative use of space, wilderness-inspired interiors, and extended foldback glass doors mean you feel immersed in nature even when in your suite. While their décor gives a nod to the Lupini’s Italian heritage, much of the furniture and other decorative items are local, supporting South African artisans. The main guest area offers a bar, an open-plan dining and lounge area, an outdoor lounge, and a wraparound viewing and dining deck. 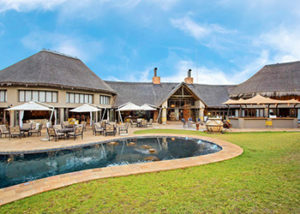 The lodge has an African boma for social outdoor dinners. 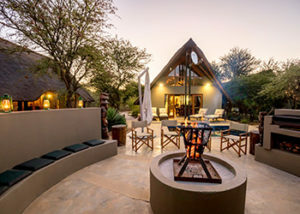 The boma features a braai, a central firepit and dining tables. A the Lush Boutique guests will find a range of select items, including the lodge’s blend of fair-trade coffee, for guests to take home something of their time here. 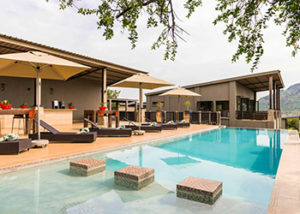 aha Ivory Tree Game Lodge offers bed and breakfast or full board accommodation, and is situated in the Pilanesberg Game Reserve. 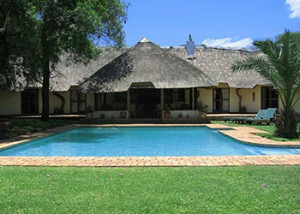 The game lodge is ideal for guests looking for a comfortable bush breakaway. 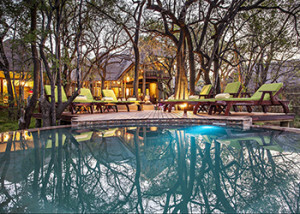 Accommodation at Ivory Tree Game Lodge comprises 67 individually decorated rooms and suites. 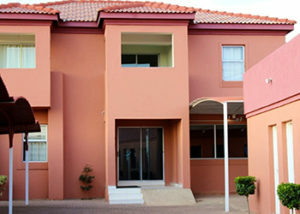 These units are furnished with either twin beds, a double bed or a king-size bed, and each room has an en-suite bathroom. In addition, most of the units contain air-conditioning, a TV with selected satellite channels, and tea- and coffee-making facilities. A few of the suites boast an outdoor shower, a private plunge pool, and a lounge area with a fireplace. Breakfast and other delectable meals are served and can be arranged in the restaurant or the boma, which offers a unique outdoor dining experience. 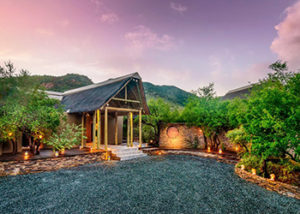 The lodge also boasts a safari spa and wellness centre which offers an array of massage therapies, a social guest lounge, a well-stocked bar, a gift shop, paid Wi-Fi Internet, and other services. 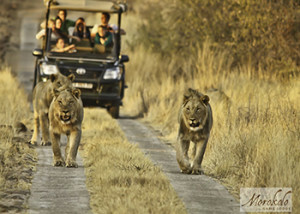 Activities such as guided game drives, archery, playing the drums, and quad biking tours, to name but a few can be arranged. Conferencing, team building, and special events such as a wedding, can also be catered for at aha Ivory Tree Game Lodge.